Categories: Pavement Signs and A-Boards, Swingers. Gloss white aluminium panel – ideal for screen/digitally printed graphics or vinyl application. Standard or custom-shaped panels available (within 674 x 977mm). Stylish oval steel tube frame (50 x 25mm). 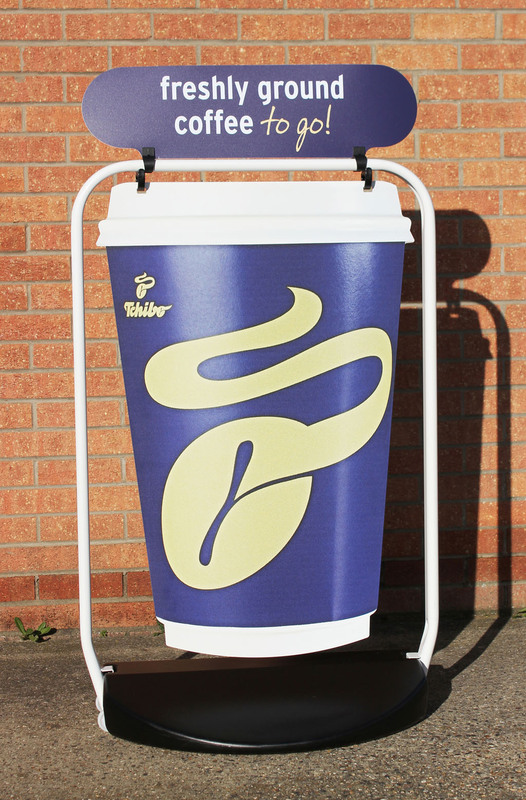 Also available with top-opening poster pockets for A1 poster display, click here for details.